Partners in Design Architects receives Circle of Excellence Award from PSMJ Resources, Inc.
Partners in Design received PSMJ Resources', "Circle of Excellence" award as one of the top firms nationwide in terms of business performance. The award states, "Partners in Design is receiving this award for its commitment to improving business performance by keeping great clients, attracting and developing outstanding people in the firm and completing projects profitably." PSMJ Resources, Inc. is the world's leading authority, publisher, and consultant on the effective management of architecture, engineering, and construction firms. 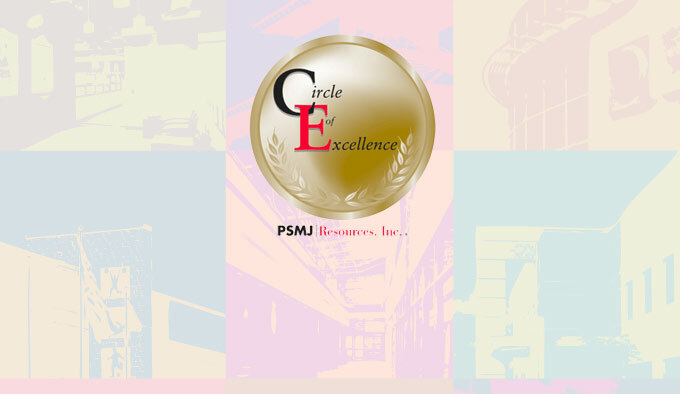 PSMJ's Circle of Excellence award is given to A/E/C firms that demonstrate outstanding achievements in profitability, cash flow management, productivity, business development, staff growth and turnover. In other words – the firms that set the bar as a result of top-notch business practices. "Creating building solutions which meet client needs is just one part of the business", said Tom O'Connell, a PIDA partner. "Maintaining solid business practices, making a commitment to the staff and their growth and keeping clients happy is the business side of our practice. Getting this award is confirmation that we are on the right course."